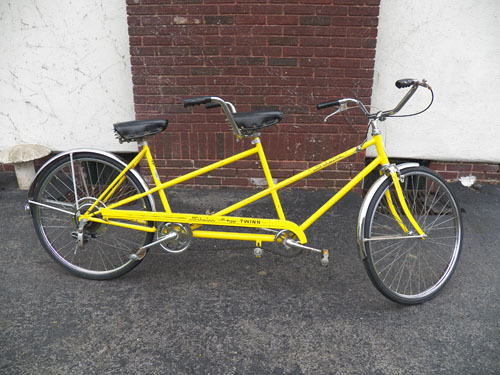 Aaron finished up the restoration of the tandem bike I got him for his birthday. 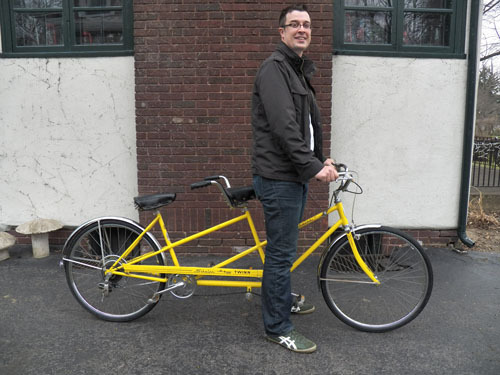 He took the entire bike apart, shined it up, replaced parts and put it back together again. Aaron has named the bike Banana Split. Ha hah! I can't say just how much I love that bike! It's special to me because of who gave it too me, who i get to ride it with and because it has a kewl name! That's awesome! Have a fun ride!